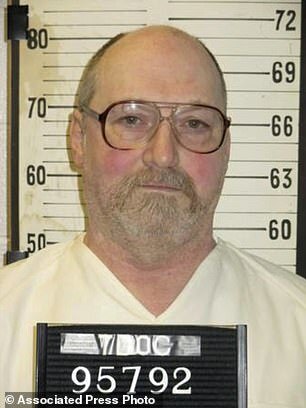 A Tennessee inmate has become the second person to be executed in just over a month – after being on death row for 36 years. David Earl Miller, 61, was pronounced dead at 7:25pm on Thursday at a Nashville maximum-security prison, corrections officials said. But the inmates argued in court that Tennessee’s current midazolam-based method causes a prolonged and torturous death. The state adopted lethal injection as its preferred method of execution almost 20 years ago but both inmates point to the August execution of Billy Ray Irick, which took around 20 minutes and during which he coughed and huffed before turning a dark purple. Their case was thrown out, largely because a judge said they failed to prove a more humane alternative was available. Zagorski was executed November 1 and Governor Bill Haslam declined Thursday to intervene in Miller’s execution. Wearing a cream-colored jumpsuit, Miller was dripping with water from the sponges that were applied to his head. Before the shroud was placed over Miller’s head, he faced the media witnesses and looked down. Two jolts of electricity were administered, causing his muscles to clench. Blinds were lowered and he was pronounced dead minutes later. 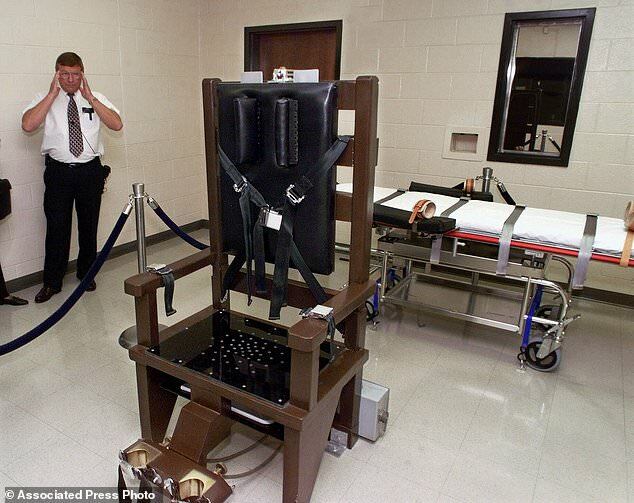 In recent decades, states have moved away from the electric chair, and no state now uses electrocution as its main execution method, said Robert Dunham. Dunham is the executive director of the Death Penalty Information Center, which doesn’t take a stand on the death penalty but is critical of its application. Prior to Zagorski’s execution, the builder of Tennessee’s electric chair had warned that it could malfunction, but Zagorski’s and Miller’s executions appeared to be carried out without incident. Miller’s death was only the third time Tennessee had put an inmate to death in the electric chair since 1960. Miller was convicted of killing 23-year-old Lee Standifer in 1981 in Knoxville. 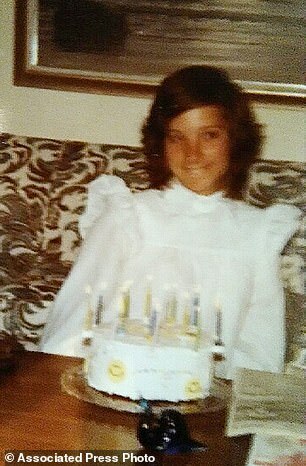 Standifer was a mentally handicapped woman who had been on a date with Miller the night she was repeatedly beaten, stabbed and dragged into some woods. Miller used a fire poker to repeatedly bludgeon and stab Standifer, who was born with mild brain damage and with whom he was on a first date, when he suddenly decided she had to die. Miller spent 36 years on Tennessee’s death row, the longest of any inmate.